"What happened." 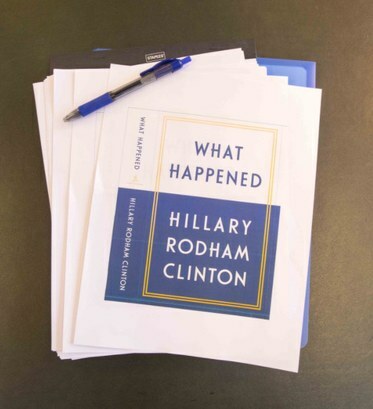 That's not a question, but a statement… and it's the title of Hillary Clinton's new book about last year's loss of the presidential election to the unlikely Republican winner, Donald Trump. It'll be out next week and is already topping advanced best-seller lists. But elected Democrats, party officials and campaign operatives are dreading the publicity and the months-long book tour to come. That's according to Edward-Isaac Dovere, senior White House correspondent for Politico. Category 4 Hurricane Irma is US-bound, are we prepared? Are we ready for natural disasters to come?